For other uses, see Gasoline (disambiguation). “Petrol” redirects here. For other uses, see Petrol (disambiguation). Gasoline, gas (American English) or petrol (British English) is a colorless petroleum-derived flammable liquid that is used primarily as a fuel in spark-ignited internal combustion engines. It consists mostly of organic compounds obtained by the fractional distillation of petroleum, enhanced with a variety of additives. On average, a 42-U.S.-gallon (160-liter) barrel of crude oil yields about 19 U.S. gallons (72 liters) of gasoline after processing in an oil refinery, though this varies based on the crude oil assay. The characteristic of a particular gasoline blend to resist igniting too early (which causes knocking and reduces efficiency in reciprocating engines) is measured by its octane rating. Gasoline is produced in several grades of octane rating. Tetraethyl lead and other lead compounds are no longer used in most areas to increase octane rating (still used in aviation and auto-racing). Other chemicals are frequently added to gasoline to improve chemical stability and performance characteristics, control corrosiveness and provide fuel system cleaning. Gasoline may contain oxygen-containing chemicals such as ethanol, MTBE or ETBE to improve combustion. Gasoline used in internal combustion engines can have significant effects on the local environment, and is also a contributor to global human carbon dioxide emissions. Gasoline can also enter the environment uncombusted, both as liquid and as vapor, from leakage and handling during production, transport and delivery (e.g., from storage tanks, from spills, etc.). As an example of efforts to control such leakage, many underground storage tanks are required to have extensive measures in place to detect and prevent such leaks. Gasoline contains benzene and other known carcinogens. “Gasoline” is a North American word that refers to fuel for automobiles. The Oxford English Dictionary dates its first recorded use to 1863 when it was spelled “gasolene”. 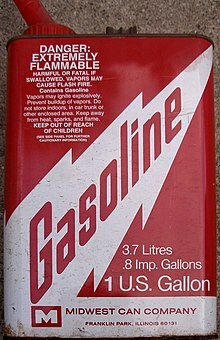 The term “gasoline” was first used in North America in 1864. The word is a derivation from the word “gas” and the chemical suffixes “-ol” and “-ine” or “-ene”. This is the earliest occurrence of the word to have been found. Cassell discovered that a shopkeeper in Dublin named Samuel Boyd was selling counterfeit cazeline and wrote to him to ask him to stop. Boyd did not reply and changed every ‘C’ into a ‘G’, thus coining the word “gazeline”. The name “petrol” is used in place of “gasoline” in most Commonwealth countries. “Petrol” was first used as the name of a refined petroleum product around 1870 by British wholesaler Carless, Capel & Leonard, who marketed it as a solvent. When the product later found a new use as a motor fuel, Frederick Simms, an associate of Gottlieb Daimler, suggested to Carless that they register the trademark “petrol”, but by this time the word was already in general use, possibly inspired by the French pétrole, and the registration was not allowed. Carless registered a number of alternative names for the product, but “petrol” nonetheless became the common term for the fuel in the British Commonwealth. British refiners originally used “motor spirit” as a generic name for the automotive fuel and “aviation spirit” for aviation gasoline. When Carless was denied a trademark on “petrol” in the 1930s, its competitors switched to the more popular name “petrol”. However, “motor spirit” had already made its way into laws and regulations, so the term remains in use as a formal name for petrol. The term is used most widely in Nigeria, where the largest petroleum companies call their product “premium motor spirit”. Although “petrol” has made inroads into Nigerian English, “premium motor spirit” remains the formal name that is used in scientific publications, government reports, and newspapers. The use of the word gasoline instead of petrol outside North America can often be confusing. Shortening gasoline to gas, which happens often, causes confusion with various forms of gaseous products also used as automotive fuel like compressed natural gas (CNG), liquefied natural gas (LNG) and liquefied petroleum gas (LPG)). In many languages, the name is derived from benzene, such as Benzin in German or benzina in Italian. Argentina, Uruguay and Paraguay use the colloquial name nafta derived from that of the chemical naphtha. The first internal combustion engines suitable for use in transportation applications, so-called Otto engines, were developed in Germany during the last quarter of the 19th century. The fuel for these early engines was a relatively volatile hydrocarbon obtained from coal gas. With a boiling point near 85 °C (185 °F) (octanes boil about 40 °C higher), it was well-suited for early carburetors (evaporators). The development of a “spray nozzle” carburetor enabled the use of less volatile fuels. Further improvements in engine efficiency were attempted at higher compression ratios, but early attempts were blocked by the premature explosion of fuel, known as knocking. In 1891, the Shukhov cracking process became the world’s first commercial method to break down heavier hydrocarbons in crude oil to increase the percentage of lighter products compared to simple distillation. The evolution of gasoline followed the evolution of oil as the dominant source of energy in the industrializing world. Prior to World War One, Britain was the world’s greatest industrial power and depended on its navy to protect the shipping of raw materials from its colonies. Germany was also industrializing and, like Britain, lacked many natural resources which had to be shipped to the home country. By the 1890s, Germany began to pursue a policy of global prominence and began building a navy to compete with Britain’s. Coal was the fuel that powered their navies. Though both Britain and Germany had natural coal reserves, new developments in oil as a fuel for ships changed the situation. Coal-powered ships were a tactical weakness because the process of loading coal was extremely slow and dirty and left the ship completely vulnerable to attack, and unreliable supplies of coal at international ports made long-distance voyages impractical. The advantages of petroleum oil soon found the navies of the world converting to oil, but Britain and Germany had very few domestic oil reserves. Britain eventually solved its naval oil dependence by securing oil from Royal Dutch Shell and the Anglo-Persian Oil Company and this determined from where and of what quality its gasoline would come. During the early period of gasoline engine development, aircraft were forced to use motor vehicle gasoline since aviation gasoline did not yet exist. These early fuels were termed “straight-run” gasolines and were byproducts from the distillation of a single crude oil to produce kerosene, which was the principal product sought for burning in kerosene lamps. Gasoline production would not surpass kerosene production until 1916. The earliest straight-run gasolines were the result of distilling eastern crude oils and there was no mixing of distillates from different crudes. The composition of these early fuels was unknown and the quality varied greatly as crude oils from different oil fields emerged in different mixtures of hydrocarbons in different ratios. The engine effects produced by abnormal combustion (engine knocking and pre-ignition) due to inferior fuels had not yet been identified, and as a result there was no rating of gasoline in terms of its resistance to abnormal combustion. The general specification by which early gasolines were measured was that of specific gravity via the Baumé scale and later the volatility (tendency to vaporize) specified in terms of boiling points, which became the primary focuses for gasoline producers. These early eastern crude oil gasolines had relatively high Baumé test results (65 to 80 degrees Baumé) and were called Pennsylvania “High-Test” or simply “High-Test” gasolines. These would often be used in aircraft engines. By 1910, increased automobile production and the resultant increase in gasoline consumption produced a greater demand for gasoline. Also, the growing electrification of lighting produced a drop in kerosene demand, creating a supply problem. It appeared that the burgeoning oil industry would be trapped into over-producing kerosene and under-producing gasoline since simple distillation could not alter the ratio of the two products from any given crude. The solution appeared in 1911 when the development of the Burton process allowed thermal cracking of crude oils, which increased the percent yield of gasoline from the heavier hydrocarbons. This was combined with expansion of foreign markets for the export of surplus kerosene which domestic markets no longer needed. These new thermally “cracked” gasolines were believed to have no harmful effects and would be added to straight-run gasolines. There also was the practice of mixing heavy and light distillates to achieve a desired Baumé reading and collectively these were called “blended” gasolines. Gradually, volatility gained favor over the Baumé test, though both would continue to be used in combination to specify a gasoline. As late as June 1917, Standard Oil (the largest refiner of crude oil in the United States at the time) stated that the most important property of a gasoline was its volatility. It is estimated that the rating equivalent of these straight-run gasolines varied from 40 to 60 octane and that the “High-Test”, sometimes referred to as “fighting grade”, probably averaged 50 to 65 octane. Prior to the American entry into World War I, the European Allies used fuels derived from crude oils from Borneo, Java and Sumatra, which gave satisfactory performance in their military aircraft. When the United States entered the war in April 1917, the U.S. became the principal supplier of aviation gasoline to the Allies and a decrease in engine performance was noted. Soon it was realized that motor vehicle fuels were unsatisfactory for aviation, and after the loss of a number of combat aircraft, attention turned to the quality of the gasolines being used. Later flight tests conducted in 1937 showed that an octane reduction of 13 points (from 100 down to 87 octane) decreased engine performance by 20 percent and increased take-off distance by 45 percent. If abnormal combustion were to occur, the engine could lose enough power to make getting airborne impossible and a take-off roll became a threat to the pilot and aircraft. On 2 August 1917, the United States Bureau of Mines arranged to study fuels for aircraft in cooperation with the Aviation Section of the U.S. Army Signal Corps and a general survey concluded that no reliable data existed for the proper fuels for aircraft. As a result, flight tests began at Langley, McCook and Wright fields to determine how different gasolines performed under different conditions. These tests showed that in certain aircraft, motor vehicle gasolines performed as well as “High-Test” but in other types resulted in hot-running engines. It was also found that gasolines from aromatic and naphthenic base crude oils from California, South Texas and Venezuela resulted in smooth-running engines. These tests resulted in the first government specifications for motor gasolines (aviation gasolines used the same specifications as motor gasolines) in late 1917. Engine designers knew that, according to the Otto cycle, power and efficiency increased with compression ratio, but experience with early gasolines during World War I showed that higher compression ratios increased the risk of abnormal combustion, producing lower power, lower efficiency, hot-running engines and potentially severe engine damage. To compensate for these poor fuels, early engines used low compression ratios, which required relatively large, heavy engines to produce limited power and efficiency. The Wright brothers‘ first gasoline engine used a compression ratio as low as 4.7-to-1, developed only 12 horsepower (8.9 kW) from 201 cubic inches (3,290 cc) and weighed 180 pounds (82 kg). This was a major concern for aircraft designers and the needs of the aviation industry provoked the search for fuels that could be used in higher-compression engines. Between 1917 and 1919, the amount of thermally cracked gasoline utilized almost doubled. Also, the use of natural gasoline increased greatly. During this period, many U.S. states established specifications for motor gasoline but none of these agreed and were unsatisfactory from one standpoint or another. Larger oil refiners began to specify unsaturated material percentage (thermally cracked products caused gumming in both use and storage and unsaturated hydrocarbons are more reactive and tend to combine with impurities leading to gumming). In 1922, the U.S. government published the first specifications for aviation gasolines (two grades were designated as “Fighting” and “Domestic” and were governed by boiling points, color, sulphur content and a gum formation test) along with one “Motor” grade for automobiles. The gum test essentially eliminated thermally cracked gasoline from aviation usage and thus aviation gasolines reverted to fractionating straight-run naphthas or blending straight-run and highly treated thermally cracked naphthas. This situation persisted until 1929. Being very unhappy with the consequent reduction in overall gasoline quality, automobile manufacturers suggested imposing a quality standard on the oil suppliers. 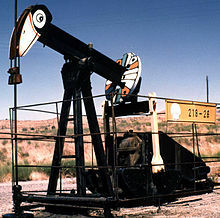 The oil industry in turn accused the automakers of not doing enough to improve vehicle economy, and the dispute became known within the two industries as “The Fuel Problem”. Animosity grew between the industries, each accusing the other of not doing anything to resolve matters, and relationships deteriorated. The situation was only resolved when the American Petroleum Institute (API) initiated a conference to address “The Fuel Problem” and a Cooperative Fuel Research (CFR) Committee was established in 1920 to oversee joint investigative programs and solutions. Apart from representatives of the two industries, the Society of Automotive Engineers (SAE) also played an instrumental role, with the U.S. Bureau of Standards being chosen as an impartial research organization to carry out many of the studies. Initially, all the programs were related to volatility and fuel consumption, ease of starting, crankcase oil dilution and acceleration. With the increased use of thermally cracked gasolines came an increased concern regarding its effects on abnormal combustion, and this led to research for antiknock additives. In the late 1910s, researchers such as A.H. Gibson, Harry Ricardo, Thomas Midgley Jr. and Thomas Boyd began to investigate abnormal combustion. Beginning in 1916, Charles F. Kettering began investigating additives based on two paths, the “high percentage” solution (where large quantities of ethanol were added) and the “low percentage” solution (where only 2–4 grams per gallon were needed). The “low percentage” solution ultimately led to the discovery of tetraethyllead (TEL) in December 1921, a product of the research of Midgley and Boyd. This innovation started a cycle of improvements in fuel efficiency that coincided with the large-scale development of oil refining to provide more products in the boiling range of gasoline. Ethanol could not be patented but TEL could, so Kettering secured a patent for TEL and began promoting it instead of other options. The dangers of compounds containing lead were well-established by then and Kettering was directly warned by Robert Wilson of MIT, Reid Hunt of Harvard, Yandell Henderson of Yale, and Charles Kraus of the University of Potsdam in Germany about its use. Kraus had worked on tetraethyllead for many years and called it “a creeping and malicious poison” that had killed a member of his dissertation committee. On 27 October 1924, newspaper articles around the nation told of the workers at the Standard Oil refinery near Elizabeth, New Jersey who were producing TEL and were suffering from lead poisoning. By 30 October, the death toll had reached five. In November, the New Jersey Labor Commission closed the Bayway refinery and a grand jury investigation was started which had resulted in no charges by February 1925. Leaded gasoline sales were banned in New York City, Philadelphia and New Jersey. General Motors, DuPont, and Standard Oil, who were partners in Ethyl Corporation, the company created to produce TEL, began to argue that there were no alternatives to leaded gasoline that would maintain fuel efficiency and still prevent engine knocking. After flawed studies determined that TEL-treated gasoline was not a public health issue, the controversy subsided. In the five-year period prior to 1929, a great amount of experimentation was conducted on different testing methods for determining fuel resistance to abnormal combustion. It appeared engine knocking was dependent on a wide variety of parameters including compression, cylinder temperature, air-cooled or water-cooled engines, chamber shapes, intake temperatures, lean or rich mixtures and others. This led to a confusing variety of test engines that gave conflicting results, and no standard rating scale existed. By 1929, it was recognized by most aviation gasoline manufacturers and users that some kind of antiknock rating must be included in government specifications. In 1929, the octane rating scale was adopted, and in 1930 the first octane specification for aviation fuels was established. In the same year, the U.S. Army Air Force specified fuels rated at 87 octane for its aircraft as a result of studies it conducted. During this period, research showed that hydrocarbon structure was extremely important to the antiknocking properties of fuel. Straight-chain paraffins in the boiling range of gasoline had low antiknock qualities while ring-shaped molecules such as aromatic hydrocarbons (an example is benzene) had higher resistance to knocking. This development led to the search for processes that would produce more of these compounds from crude oils than achieved under straight distillation or thermal cracking. Research by the major refiners into conversion processes yielded isomerization, dehydration, and alkylation that could change the cheap and abundant butane into isooctane, which became an important component in aviation fuel blending. To further complicate the situation, as engine performance increased, the altitude that aircraft could reach also increased, which resulted in concerns about the fuel freezing. The average temperature decrease is 3.6 °F (2.0 °C) per 1,000-foot (300-metre) increase in altitude, and at 40,000 feet (12 km), the temperature can approach −70 °F (−57 °C). Additives like benzene, with a freezing point of 42 °F (6 °C), would freeze in the gasoline and plug fuel lines. Substitute aromatics such as toluene, xylene and cumene combined with limited benzene solved the problem. By 1935, there were seven different aviation grades based on octane rating, two Army grades, four Navy grades and three commercial grades including the introduction of 100-octane aviation gasoline. By 1937 the Army established 100-octane as the standard fuel for combat aircraft and to add to the confusion, the government now recognized 14 different grades, in addition to 11 others in foreign countries. With some companies required to stock 14 grades of aviation fuel, none of which could be interchanged, the effect on the refiners was negative. The refining industry could not concentrate on large capacity conversion processes for so many different grades and a solution had to be found. By 1941, principally through the efforts of the Cooperative Fuel Research Committee, the number of grades for aviation fuels was reduced to three: 73, 91 and 100 octane. In 1937, Eugene Houdry developed the Houdry process of catalytic cracking, which produced a high-octane base stock of gasoline which was superior to the thermally cracked product since it did not contain the high concentration of olefins. In 1940, there were only 14 Houdry units in operation in the U.S.; by 1943, this had increased to 77, either of the Houdry process or of the Thermofor Catalytic or Fluid Catalyst type. The search for fuels with octane ratings above 100 led to the extension of the scale by comparing power output. A fuel designated grade 130 would produce 130 percent as much power in an engine as it would running on pure iso-octane. During WW II, fuels above 100-octane were given two ratings, a rich and lean mixture and these would be called ‘performance numbers’ (PN). 100-octane aviation gasoline would be referred to as 130/100 grade. Oil and its byproducts, especially high-octane aviation gasoline, would prove to be a driving concern for how Germany conducted the war. As a result of the lessons of World War I, Germany had stockpiled oil and gasoline for its blitzkrieg offensive and had annexed Austria, adding 18,000 barrels per day of oil production, but this was not sufficient to sustain the planned conquest of Europe. Because captured supplies and oil fields would be necessary to fuel the campaign, the German high command created a special squad of oil-field experts drawn from the ranks of domestic oil industries. They were sent in to put out oil-field fires and get production going again as soon as possible. But capturing oil fields remained an obstacle throughout the war. During the Invasion of Poland, German estimates of gasoline consumption turned out to be vastly underestimated. Heinz Guderian and his Panzer divisions consumed nearly 1,000 U.S. gallons (3,800 L) of gasoline per mile on the drive to Vienna. When they were engaged in combat across open country, gasoline consumption almost doubled. On the second day of battle, a unit of the XIX Corps was forced to halt when it ran out of gasoline. One of the major objectives of the Polish invasion was their oil fields but the Soviets invaded and captured 70 percent of the Polish production before the Germans could reach it. Through the German-Soviet Commercial Agreement (1940), Stalin agreed in vague terms to supply Germany with additional oil equal to that produced by now Soviet-occupied Polish oil fields at Drohobych and Boryslav in exchange for hard coal and steel tubing. Even after the Nazis conquered the vast territories of Europe, this did not help the gasoline shortage. This area had never been self-sufficient in oil before the war. In 1938, the area that would become Nazi-occupied would produce 575,000 barrels per day. In 1940, total production under German control amounted to only 234,550 barrels—a shortfall of 59 percent. By the spring of 1941 and the depletion of German gasoline reserves, Hitler saw the invasion of Russia to seize the Polish oil fields and the Russian oil in the Caucasus as the solution to the German gasoline shortage. As early as July 1941, following the 22 June start of Operation Barbarossa, certain Luftwaffe squadrons were forced to curtail ground support missions due to shortages of aviation gasoline. On 9 October, the German quartermaster general estimated that army vehicles were 24,000 barrels short of gasoline requirements. Virtually all of Germany’s aviation gasoline came from synthetic oil plants that hydrogenated coals and coal tars. These processes had been developed during the 1930s as an effort to achieve fuel independence. There were two grades of aviation gasoline produced in volume in Germany, the B-4 or blue grade and the C-3 or green grade, which accounted for about two-thirds of all production. B-4 was equivalent to 89-octane and the C-3 was roughly equal to the U.S. 100-octane, though lean mixture was rated around 95-octane and was poorer than the U.S. Maximum output achieved in 1943 reached 52,200 barrels a day before the Allies decided to target the synthetic fuel plants. Through captured enemy aircraft and analysis of the gasoline found in them, both the Allies and the Axis powers were aware of the quality of the aviation gasoline being produced and this prompted an octane race to achieve the advantage in aircraft performance. Later in the war the C-3 grade was improved to where it was equivalent to the U.S. 150 grade (rich mixture rating). Japan, like Germany, had almost no domestic oil supply and by the late 1930s produced only 7% of its own oil while importing the rest – 80% from the United States. As Japanese aggression grew in China (USS Panay incident) and news reached the American public of Japanese bombing of civilian centers, especially the bombing of Chungking, public opinion began to support a U.S. embargo. A Gallup poll in June 1939 found that 72 percent of the American public supported an embargo on war materials to Japan. This increased tensions between the U.S. and Japan led to the U.S. placing restrictions on exports and in July 1940 the U.S. issued a proclamation that banned the export of 87 octane or higher aviation gasoline to Japan. This ban did not hinder the Japanese as their aircraft could operate with fuels below 87 octane and if needed they could add TEL to increase the octane. As it turned out, Japan bought 550 percent more sub-87 octane aviation gasoline in the five months after the July 1940 ban on higher octane sales. The possibility of a complete ban of gasoline from America created friction in the Japanese government as to what action to take to secure more supplies from the Dutch East Indies and demanded greater oil exports from the exiled Dutch government after the Battle of the Netherlands. This action prompted the U.S. to move its Pacific fleet from Southern California to Pearl Harbor to help stiffen British resolve to stay in Indochina. With the Japanese invasion of French Indochina in September 1940 came great concerns about the possible Japanese invasion of the Dutch Indies to secure their oil. After the U.S. banned all exports of steel and iron scrap, the next day Japan signed the Tripartite Pact and this led Washington to fear that a complete U.S. oil embargo would prompt the Japanese to invade the Dutch East Indies. On 16 June 1941 Harold Ickes, who was appointed Petroleum Coordinator for National Defense, stopped a shipment of oil from Philadelphia to Japan in light of the oil shortage on the East coast due to increased exports to Allies. He also telegrammed all oil suppliers on the East coast not to ship any oil to Japan without his permission. President Roosevelt countermanded Ickes’ orders telling Ickes that the “… I simply have not got enough Navy to go around and every little episode in the Pacific means fewer ships in the Atlantic”. On 25 July 1941 the U.S. froze all Japanese financial assets and licenses would be required for each use of the frozen funds including oil purchases that could produce aviation gasoline. On 28 July 1941 Japan invaded southern Indochina. Early in 1944, William Boyd, president of the American Petroleum Institute and chairman of the Petroleum Industry War Council said: “The Allies may have floated to victory on a wave of oil in World War I, but in this infinitely greater World War II, we are flying to victory on the wings of petroleum”. In December, 1941 the United States had 385,000 oil wells producing 1.4 billion barrels of oil a year and 100-octane aviation gasoline capacity was at 40,000 barrels a day. By 1944 the U.S. was producing over 1.5 billion barrels a year (67 percent of world production) and the petroleum industry had built 122 new plants for the production of 100-octane aviation gasoline and capacity was over 400,000 barrels a day – an increase of more than ten-fold. It was estimated that the U.S. was producing enough 100-octane aviation gasoline to permit the dropping of 20,000 tons of bombs on the enemy every day of the year. The record of gasoline consumption by the Army prior to June, 1943 was uncoordinated as each supply service of the Army purchased its own petroleum products and no centralized system of control nor records existed. On 1 June 1943 the Army created the Fuels and Lubricants Division of the Quartermaster Corps and from their records they tabulated that the Army (excluding fuels and lubricants for aircraft) purchased over 2.4 billion gallons of gasoline for delivery to overseas theaters between 1 June 1943 through August, 1945. That figure does not include gasoline used by the Army inside the United States. Motor fuel production had declined from 701,000,000 barrels in 1941 down to 608,000,000 barrels in 1943. World War II marked the first time in U.S. history that gasoline was rationed and the government imposed price controls to prevent inflation. Gasoline consumption per automobile declined from 755 gallons per year in 1941 down to 540 gallons in 1943 with the goal of preserving rubber for tires since the Japanese had cut the U.S. off from over 90 percent of its rubber supply which had come from the Dutch East Indies and the U.S. synthetic rubber industry was in its infancy. Average gasoline prices went from an all-time record low of $0.1275 per gallon ($0.1841 with taxes) in 1940 to $0.1448 per gallon ($0.2050 with taxes) in 1945. Even with the world’s largest aviation gasoline production, the U.S. military still found that more was needed. Throughout the duration of the war, aviation gasoline supply was always behind requirements and this impacted training and operations. The reason for this shortage developed before the war even began. The free market did not support the expense of producing 100-octane aviation fuel in large volume, especially during the Great Depression. Iso-octane in the early development stage cost $30 a gallon and even by 1934 it was still $2 a gallon compared to $0.18 for motor gasoline when the Army decided to experiment with 100-octane for its combat aircraft. Though only 3 percent of U.S. combat aircraft in 1935 could take full advantage of the higher octane due to low compression ratios, the Army saw the need for increasing performance warranted the expense and purchased 100,000 gallons. By 1937 the Army established 100-octane as the standard fuel for combat aircraft and by 1939 production was only 20,000 barrels a day. In effect, the U.S. military was the only market for 100-octane aviation gasoline and as war broke out in Europe this created a supply problem that persisted throughout the duration. With the war in Europe in 1939 a reality, all predictions of 100-octane consumption were outrunning all possible production. Neither the Army nor the Navy could contract more than six months in advance for fuel and they could not supply the funds for plant expansion. Without a long term guaranteed market the petroleum industry would not risk its capital to expand production for a product that only the government would buy. The solution to the expansion of storage, transportation, finances and production was the creation of the Defense Supplies Corporation on 19 September 1940. The Defense Supplies Corporation would buy, transport and store all aviation gasoline for the Army and Navy at cost plus a carrying fee. When the Allied breakout after D-Day found their armies stretching their supply lines to a dangerous point, the make-shift solution was the Red Ball Express. But even this soon was inadequate. The trucks in the convoys had to drive longer distances as the armies advanced and they were consuming a greater percentage of the same gasoline they were trying to deliver. In 1944, General George Patton’s Third Army finally stalled just short of the German border after running out of gasoline. The general was so upset at the arrival of a truckload of rations instead of gasoline he was reported to have shouted: “Hell, they send us food, when they know we can fight without food but not without oil.” The solution had to wait for the repairing of the railroad lines and bridges so that the more efficient trains could replace the gasoline consuming truck convoys. In the 1950s oil refineries started to focus on high octane fuels, and then detergents were added to gasoline to clean the jets in carburetors. The 1970s witnessed greater attention to the environmental consequences of burning gasoline. These considerations led to the phasing out of TEL and its replacement by other antiknock compounds. Subsequently, low-sulfur gasoline was introduced, in part to preserve the catalysts in modern exhaust systems. Gasoline is produced in oil refineries. Roughly 19 U.S. gallons (72 L) of gasoline is derived from a 42-U.S.-gallon (160 L) barrel of crude oil. Material separated from crude oil via distillation, called virgin or straight-run gasoline, does not meet specifications for modern engines (particularly the octane rating; see below), but can be pooled to the gasoline blend. the grade of gasoline (in particular, the octane rating). straight-run gasoline, commonly referred to as naphtha, which is distilled directly from crude oil. Once the leading source of fuel, its low octane rating required lead additives. It is low in aromatics (depending on the grade of the crude oil stream) and contains some cycloalkanes (naphthenes) and no olefins (alkenes). Between 0 and 20 percent of this stream is pooled into the finished gasoline, because the supply of this fraction is insufficient[clarification needed] and its RON is too low. The chemical properties (namely RON and Reid vapor pressure) of the straight-run gasoline can be improved through reforming and isomerisation. However, before feeding those units, the naphtha needs to be split into light and heavy naphtha. Straight-run gasoline can be also used as a feedstock into steam-crackers to produce olefins. reformate, produced in a catalytic reformer, has a high octane rating with high aromatic content and relatively low olefin content. Most of the benzene, toluene and xylene (the so-called BTX hydrocarbons) are more valuable as chemical feedstocks and are thus removed to some extent. catalytic cracked gasoline, or catalytic cracked naphtha, produced with a catalytic cracker, has a moderate octane rating, high olefin content and moderate aromatic content. hydrocrackate (heavy, mid and light), produced with a hydrocracker, has a medium to low octane rating and moderate aromatic levels. alkylate is produced in an alkylation unit, using isobutane and olefins as feedstocks. Finished alkylate contains no aromatics or olefins and has a high MON. isomerate is obtained by isomerizing low-octane straight-run gasoline into iso-paraffins (non-chain alkanes, such as isooctane). Isomerate has a medium RON and MON, but no aromatics or olefins. butane is usually blended in the gasoline pool, although the quantity of this stream is limited by the RVP specification. The terms above are the jargon used in the oil industry and terminology varies. Currently, many countries set limits on gasoline aromatics in general, benzene in particular, and olefin (alkene) content. Such regulations have led to an increasing preference for high-octane pure paraffin (alkane) components, such as alkylate, and are forcing refineries to add processing units to reduce benzene content. In the European Union, the benzene limit is set at 1% volume for all grades of automotive gasoline. Gasoline can also contain other organic compounds, such as organic ethers (deliberately added), plus small levels of contaminants, in particular organosulfur compounds (which is usually removed at the refinery). The density of gasoline generally is 5.91 lb/US gal (0.708 kg/L; 7.10 lb/imp gal; 0.0256 lb/cu in), with higher densities having a greater volume of aromatics. Finished marketable gasoline is traded (in Europe) with a standard reference of 0.755 kg/L (6.30 lb/US gal), and its price is escalated or de-escalated according to its actual density. Because of its low density, gasoline floats on water, and so water cannot generally be used to extinguish a gasoline fire unless applied in a fine mist. Quality gasoline should be stable for six months if stored properly, but as gasoline is a mixture rather than a single compound, it will break down slowly over time due to the separation of the components. Gasoline stored for a year will most likely be able to be burned in an internal combustion engine without too much trouble but the effects of long-term storage will become more noticeable with each passing month until a time comes when the gasoline should be diluted with ever-increasing amounts of freshly made fuel so that the older gasoline may be used up. If left undiluted, improper operation will occur and this may include engine damage from misfiring or the lack of proper action of the fuel within a fuel injection system and from an onboard computer attempting to compensate (if applicable to the vehicle). Gasoline should ideally be stored in an airtight container (to prevent oxidation or water vapor mixing in with the gas) that can withstand the vapor pressure of the gasoline without venting (to prevent the loss of the more volatile fractions) at a stable cool temperature (to reduce the excess pressure from liquid expansion and to reduce the rate of any decomposition reactions). When gasoline is not stored correctly, gums and solids may result, which can corrode system components and accumulate on wetted surfaces, resulting in a condition called “stale fuel”. Gasoline containing ethanol is especially subject to absorbing atmospheric moisture, then forming gums, solids or two phases (a hydrocarbon phase floating on top of a water-alcohol phase). The presence of these degradation products in the fuel tank or fuel lines plus a carburetor or fuel injection components makes it harder to start the engine or causes reduced engine performance. On resumption of regular engine use, the buildup may or may not be eventually cleaned out by the flow of fresh gasoline. The addition of a fuel stabilizer to gasoline can extend the life of fuel that is not or cannot be stored properly, though removal of all fuel from a fuel system is the only real solution to the problem of long-term storage of an engine or a machine or vehicle. Typical fuel stabilizers are proprietary mixtures containing mineral spirits, isopropyl alcohol, 1,2,4-trimethylbenzene or other additives. Fuel stabilizers are commonly used for small engines, such as lawnmower and tractor engines, especially when their use is sporadic or seasonal (little to no use for one or more seasons of the year). Users have been advised to keep gasoline containers more than half full and properly capped to reduce air exposure, to avoid storage at high temperatures, to run an engine for ten minutes to circulate the stabilizer through all components prior to storage, and to run the engine at intervals to purge stale fuel from the carburetor. Gasoline stability requirements are set by the standard ASTM D4814. This standard describes the various characteristics and requirements of automotive fuels for use over a wide range of operating conditions in ground vehicles equipped with spark-ignition engines. Gasoline contains about 46.7 MJ/kg (127 MJ/US gal; 35.3 kWh/US gal; 13.0 kWh/kg; 120,405 BTU/US gal), quoting the lower heating value. Gasoline blends differ, and therefore actual energy content varies according to the season and producer by up to 1.75% more or less than the average. On average, about 74 L (19.5 US gal; 16.3 imp gal) of gasoline are available from a barrel of crude oil (about 46% by volume), varying with the quality of the crude and the grade of the gasoline. The remainder are products ranging from tar to naphtha. A high-octane-rated fuel, such as liquefied petroleum gas (LPG), has an overall lower power output at the typical 10:1 compression ratio of an engine design optimized for gasoline fuel. An engine tuned for LPG fuel via higher compression ratios (typically 12:1) improves the power output. This is because higher-octane fuels allow for a higher compression ratio without knocking, resulting in a higher cylinder temperature, which improves efficiency. Also, increased mechanical efficiency is created by a higher compression ratio through the concomitant higher expansion ratio on the power stroke, which is by far the greater effect. The higher expansion ratio extracts more work from the high-pressure gas created by the combustion process. An Atkinson cycle engine uses the timing of the valve events to produce the benefits of a high expansion ratio without the disadvantages, chiefly detonation, of a high compression ratio. A high expansion ratio is also one of the two key reasons for the efficiency of diesel engines, along with the elimination of pumping losses due to throttling of the intake air flow. The lower energy content of LPG by liquid volume in comparison to gasoline is due mainly to its lower density. This lower density is a property of the lower molecular weight of propane (LPG’s chief component) compared to gasoline’s blend of various hydrocarbon compounds with heavier molecular weights than propane. Conversely, LPG’s energy content by weight is higher than gasoline’s due to a higher hydrogen-to-carbon ratio. Molecular weights of the representative octane combustion are C8H18 114, O2 32, CO2 44, H2O 18; therefore 1 kg of fuel reacts with 3.51 kg of oxygen to produce 3.09 kg of carbon dioxide and 1.42 kg of water. Spark-ignition engines are designed to burn gasoline in a controlled process called deflagration. However, the unburned mixture may autoignite by pressure and heat alone, rather than igniting from the spark plug at exactly the right time, causing a rapid pressure rise which can damage the engine. This is often referred to as engine knocking or end-gas knock. Knocking can be reduced by increasing the gasoline’s resistance to autoignition, which is expressed by its octane rating. Octane rating is measured relative to a mixture of 2,2,4-trimethylpentane (an isomer of octane) and n-heptane. There are different conventions for expressing octane ratings, so the same physical fuel may have several different octane ratings based on the measure used. One of the best known is the research octane number (RON). The octane rating of typical commercially available gasoline varies by country. In Finland, Sweden and Norway, 95 RON is the standard for regular unleaded gasoline and 98 RON is also available as a more expensive option. In the United Kingdom, ordinary regular unleaded gasoline is sold at 95 RON (commonly available), premium unleaded gasoline is always 97 RON, and super-unleaded is usually 97–98 RON. However, both Shell and BP produce fuel at 102 RON for cars with high-performance engines, and in 2006 the supermarket chain Tesco began to sell super-unleaded gasoline rated at 99 RON. In the United States, octane ratings in unleaded fuels vary between 85 and 87 AKI (91–92 RON) for regular, 89–90 AKI (94–95 RON) for mid-grade (equivalent to European regular), up to 90–94 AKI (95–99 RON) for premium (European premium). As South Africa’s largest city, Johannesburg, is located on the Highveld at 1,753 metres (5,751 ft) above sea level, the Automobile Association of South Africa recommends 95-octane gasoline at low altitude and 93-octane for use in Johannesburg because “The higher the altitude the lower the air pressure, and the lower the need for a high octane fuel as there is no real performance gain”. Octane rating became important as the military sought higher output for aircraft engines in the late 1930s and the 1940s. A higher octane rating allows a higher compression ratio or supercharger boost, and thus higher temperatures and pressures, which translate to higher power output. Some scientists[who?] even predicted that a nation with a good supply of high-octane gasoline would have the advantage in air power. In 1943, the Rolls-Royce Merlin aero engine produced 1,320 horsepower (984 kW) using 100 RON fuel from a modest 27-liter displacement. By the time of Operation Overlord, both the RAF and USAAF were conducting some operations in Europe using 150 RON fuel (100/150 avgas), obtained by adding 2.5% aniline to 100-octane avgas. By this time the Rolls-Royce Merlin 66 was developing 2,000 hp using this fuel. Almost all countries in the world have phased out automotive leaded fuel. In 2011, six countries were still using leaded gasoline: Afghanistan, Myanmar, North Korea, Algeria, Iraq and Yemen. It was expected that by the end of 2013 those countries, too, would ban leaded gasoline, but this target was not met. Algeria replaced leaded with unleaded automotive fuel only in 2015. Different additives have replaced the lead compounds. The most popular additives include aromatic hydrocarbons, ethers and alcohol (usually ethanol or methanol). For technical reasons, the use of leaded additives is still permitted worldwide for the formulation of some grades of aviation gasoline such as 100LL, because the required octane rating would be technically infeasible to reach without the use of leaded additives. Gasoline, when used in high-compression internal combustion engines, tends to autoignite or “detonate” causing damaging engine knocking (also called “pinging” or “pinking”). To address this problem, tetraethyllead (TEL) was widely adopted as an additive for gasoline in the 1920s. With the discovery of the seriousness of the extent of environmental and health damage caused by lead compounds, however, and the incompatibility of lead with catalytic converters, leaded gasoline was phased out in the United States beginning in 1973. By 1995, leaded fuel accounted for only 0.6 percent of total gasoline sales and under 2000 short tons (1814 t) of lead per year. From 1 January 1996, the U.S. Clean Air Act banned the sale of leaded fuel for use in on-road vehicles in the U.S. The use of TEL also necessitated other additives, such as dibromoethane. European countries began replacing lead-containing additives by the end of the 1980s, and by the end of the 1990s, leaded gasoline was banned within the entire European Union. Reduction in the average lead content of human blood is believed to be a major cause for falling violent crime rates around the world, including in the United States and South Africa. A statistically significant correlation has been found between the usage rate of leaded gasoline and violent crime: taking into account a 22-year time lag, the violent crime curve virtually tracks the lead exposure curve. Lead replacement petrol (LRP) was developed for vehicles designed to run on leaded fuels and incompatible with unleaded fuels. Rather than tetraethyllead it contains other metals such as potassium compounds or methylcyclopentadienyl manganese tricarbonyl (MMT); these are purported to buffer soft exhaust valves and seats so that they do not suffer recession due to the use of unleaded fuel. LRP was marketed during and after the phaseout of leaded motor fuels in the United Kingdom, Australia, South Africa and some other countries. [vague] Consumer confusion led to a widespread mistaken preference for LRP rather than unleaded, and LRP was phased out 8 to 10 years after the introduction of unleaded. Leaded gasoline was withdrawn from sale in Britain after 31 December 1999, seven years after EEC regulations signaled the end of production for cars using leaded gasoline in member states. At this stage, a large percentage of cars from the 1980s and early 1990s which ran on leaded gasoline were still in use, along with cars which could run on unleaded fuel. However, the declining number of such cars on British roads saw many gasoline stations withdrawing LRP from sale by 2003. Methylcyclopentadienyl manganese tricarbonyl (MMT) is used in Canada and the USA to boost octane rating. It also helps old cars designed for leaded fuel run on unleaded fuel without the need for additives to prevent valve problems. Its use in the United States has been restricted by regulations. Its use in the European Union is restricted by Article 8a of the Fuel Quality Directive following its testing under the Protocol for the evaluation of effects of metallic fuel-additives on the emissions performance of vehicles. Gummy, sticky resin deposits result from oxidative degradation of gasoline during long-term storage. These harmful deposits arise from the oxidation of alkenes and other minor components in gasoline (see drying oils). Improvements in refinery techniques have generally reduced the susceptibility of gasolines to these problems. Previously, catalytically or thermally cracked gasolines were most susceptible to oxidation. The formation of gums is accelerated by copper salts, which can be neutralized by additives called metal deactivators. This degradation can be prevented through the addition of 5–100 ppm of antioxidants, such as phenylenediamines and other amines. Hydrocarbons with a bromine number of 10 or above can be protected with the combination of unhindered or partially hindered phenols and oil-soluble strong amine bases, such as hindered phenols. “Stale” gasoline can be detected by a colorimetric enzymatic test for organic peroxides produced by oxidation of the gasoline. Gasolines are also treated with metal deactivators, which are compounds that sequester (deactivate) metal salts that otherwise accelerate the formation of gummy residues. The metal impurities might arise from the engine itself or as contaminants in the fuel. Gasoline, as delivered at the pump, also contains additives to reduce internal engine carbon buildups, improve combustion and allow easier starting in cold climates. High levels of detergent can be found in Top Tier Detergent Gasolines. The specification for Top Tier Detergent Gasolines was developed by four automakers: GM, Honda, Toyota, and BMW. According to the bulletin, the minimal U.S. EPA requirement is not sufficient to keep engines clean. Typical detergents include alkylamines and alkyl phosphates at the level of 50–100 ppm. In the EU, 5% ethanol can be added within the common gasoline spec (EN 228). Discussions are ongoing to allow 10% blending of ethanol (available in Finnish, French and German gas stations). In Finland, most gasoline stations sell 95E10, which is 10% ethanol, and 98E5, which is 5% ethanol. Most gasoline sold in Sweden has 5–15% ethanol added. Three different ethanol blends are sold in the Netherlands—E5, E10 and hE15. The last of these differs from standard ethanol–gasoline blends in that it consists of 15% hydrous ethanol (i.e., the ethanol–water azeotrope) instead of the anhydrous ethanol traditionally used for blending with gasoline. The Brazilian National Agency of Petroleum, Natural Gas and Biofuels (ANP) requires gasoline for automobile use to have 27.5% of ethanol added to its composition. Pure hydrated ethanol is also available as a fuel. Legislation requires retailers to label fuels containing ethanol on the dispenser, and limits ethanol use to 10% of gasoline in Australia. Such gasoline is commonly called E10 by major brands, and it is cheaper than regular unleaded gasoline. The federal Renewable Fuel Standard (RFS) effectively requires refiners and blenders to blend renewable biofuels (mostly ethanol) with gasoline, sufficient to meet a growing annual target of total gallons blended. Although the mandate does not require a specific percentage of ethanol, annual increases in the target combined with declining gasoline consumption has caused the typical ethanol content in gasoline to approach 10%. Most fuel pumps display a sticker that states that the fuel may contain up to 10% ethanol, an intentional disparity that reflects the varying actual percentage. Until late 2010, fuel retailers were only authorized to sell fuel containing up to 10 percent ethanol (E10), and most vehicle warranties (except for flexible fuel vehicles) authorize fuels that contain no more than 10 percent ethanol. In parts of the United States, ethanol is sometimes added to gasoline without an indication that it is a component. In October 2007, the Government of India decided to make 5% ethanol blending (with gasoline) mandatory. Currently, 10% ethanol blended product (E10) is being sold in various parts of the country. Ethanol has been found in at least one study to damage catalytic converters. Though gasoline is a naturally colorless liquid, many gasolines are dyed in various colors to indicate their composition and acceptable uses. In Australia, the lowest grade of gasoline (RON 91) was dyed a light shade of red/orange and is now the same colour as the medium grade (RON 95) and high octane (RON 98) which are dyed yellow. In the United States, aviation gasoline (avgas) is dyed to identify its octane rating and to distinguish it from kerosene-based jet fuel, which is clear. In Canada, the gasoline for marine and farm use is dyed red and is not subject to sales tax. Oxygenate blending adds oxygen-bearing compounds such as MTBE, ETBE, ethanol and biobutanol. The presence of these oxygenates reduces the amount of carbon monoxide and unburned fuel in the exhaust. In many areas throughout the U.S., oxygenate blending is mandated by EPA regulations to reduce smog and other airborne pollutants. For example, in Southern California, fuel must contain 2% oxygen by weight, resulting in a mixture of 5.6% ethanol in gasoline. The resulting fuel is often known as reformulated gasoline (RFG) or oxygenated gasoline, or in the case of California, California reformulated gasoline. The federal requirement that RFG contain oxygen was dropped on 6 May 2006 because the industry had developed VOC-controlled RFG that did not need additional oxygen. MTBE was phased out in the U.S. due to groundwater contamination and the resulting regulations and lawsuits. Ethanol and, to a lesser extent, the ethanol-derived ETBE are common substitutes. A common ethanol-gasoline mix of 10% ethanol mixed with gasoline is called gasohol or E10, and an ethanol-gasoline mix of 85% ethanol mixed with gasoline is called E85. The most extensive use of ethanol takes place in Brazil, where the ethanol is derived from sugarcane. In 2004, over 3.4 billion US gallons (2.8 billion imp gal; 13 million m³) of ethanol was produced in the United States for fuel use, mostly from corn, and E85 is slowly becoming available in much of the United States, though many of the relatively few stations vending E85 are not open to the general public. The use of bioethanol, either directly or indirectly by conversion of such ethanol to bio-ETBE, is encouraged by the European Union Directive on the Promotion of the use of biofuels and other renewable fuels for transport. Since producing bioethanol from fermented sugars and starches involves distillation, though, ordinary people in much of Europe cannot legally ferment and distill their own bioethanol at present (unlike in the U.S., where getting a BATF distillation permit has been easy since the 1973 oil crisis). Combustion of 1 U.S. gallon (3.8 L) of gasoline produces 8.74 kilograms (19.3 lb) of carbon dioxide (2.3 kg/l), a greenhouse gas. The main concern with gasoline on the environment, aside from the complications of its extraction and refining, is the effect on the climate through the production of carbon dioxide. Unburnt gasoline and evaporation from the tank, when in the atmosphere, reacts in sunlight to produce photochemical smog. Vapor pressure initially rises with some addition of ethanol to gasoline, but the increase is greatest at 10% by volume. At higher concentrations of ethanol above 10%, the vapor pressure of the blend starts to decrease. At a 10% ethanol by volume, the rise in vapor pressure may potentially increase the problem of photochemical smog. This rise in vapor pressure could be mitigated by increasing or decreasing the percentage of ethanol in the gasoline mixture. The chief risks of such leaks come not from vehicles, but from gasoline delivery truck accidents and leaks from storage tanks. Because of this risk, most (underground) storage tanks now have extensive measures in place to detect and prevent any such leaks, such as monitoring systems (Veeder-Root, Franklin Fueling). Production of gasoline consumes 0.63 gallons of water per mile driven. The safety data sheet for a 2003 Texan unleaded gasoline shows at least 15 hazardous chemicals occurring in various amounts, including benzene (up to 5% by volume), toluene (up to 35% by volume), naphthalene (up to 1% by volume), trimethylbenzene (up to 7% by volume), methyl tert-butyl ether (MTBE) (up to 18% by volume, in some states) and about ten others. Hydrocarbons in gasoline generally exhibit low acute toxicities, with LD50 of 700–2700 mg/kg for simple aromatic compounds. Benzene and many antiknocking additives are carcinogenic. Contrary to common misconception, swallowing gasoline does not generally require special emergency treatment, and inducing vomiting does not help, and can make it worse. According to poison specialist Brad Dahl, “even two mouthfuls wouldn’t be that dangerous as long as it goes down to your stomach and stays there or keeps going.” The US CDC’s Agency for Toxic Substances and Disease Registry says not to induce vomiting, lavage, or administer activated charcoal. Inhaled (huffed) gasoline vapor is a common intoxicant. Users concentrate and inhale gasoline vapour in a manner not intended by the manufacturer to produce euphoria and intoxication. Gasoline inhalation has become epidemic in some poorer communities and indigenous groups in Australia, Canada, New Zealand, and some Pacific Islands. The practice is thought to cause severe organ damage, including mental retardation. In Canada, Native children in the isolated Northern Labrador community of Davis Inlet were the focus of national concern in 1993, when many were found to be sniffing gasoline. The Canadian and provincial Newfoundland and Labrador governments intervened on a number of occasions, sending many children away for treatment. Despite being moved to the new community of Natuashish in 2002, serious inhalant abuse problems have continued. Similar problems were reported in Sheshatshiu in 2000 and also in Pikangikum First Nation. In 2012, the issue once again made the news media in Canada. Australia has long faced a petrol (gasoline) sniffing problem in isolated and impoverished aboriginal communities. Although some sources argue that sniffing was introduced by United States servicemen stationed in the nation’s Top End during World War II or through experimentation by 1940s-era Cobourg Peninsula sawmill workers, other sources claim that inhalant abuse (such as glue inhalation) emerged in Australia in the late 1960s. Chronic, heavy petrol sniffing appears to occur among remote, impoverished indigenous communities, where the ready accessibility of petrol has helped to make it a common substance for abuse. In Australia, petrol sniffing now occurs widely throughout remote Aboriginal communities in the Northern Territory, Western Australia, northern parts of South Australia and Queensland. The number of people sniffing petrol goes up and down over time as young people experiment or sniff occasionally. “Boss”, or chronic, sniffers may move in and out of communities; they are often responsible for encouraging young people to take it up. In 2005, the Government of Australia and BP Australia began the usage of Opal fuel in remote areas prone to petrol sniffing. Opal is a non-sniffable fuel (which is much less likely to cause a high) and has made a difference in some indigenous communities. Like other hydrocarbons, gasoline burns in a limited range of its vapor phase and, coupled with its volatility, this makes leaks highly dangerous when sources of ignition are present. Gasoline has a lower explosive limit of 1.4% by volume and an upper explosive limit of 7.6%. If the concentration is below 1.4%, the air-gasoline mixture is too lean and does not ignite. If the concentration is above 7.6%, the mixture is too rich and also does not ignite. However, gasoline vapor rapidly mixes and spreads with air, making unconstrained gasoline quickly flammable. The United States accounts for about 44% of the world’s gasoline consumption. In 2003, the United States consumed 476 gigaliters (126 billion U.S. gallons; 105 billion imperial gallons), which equates to 1.3 gigaliters (340 million U.S. gallons; 290 million imperial gallons) of gasoline each day. The United States used about 510 gigaliters (130 billion U.S. gallons; 110 billion imperial gallons) of gasoline in 2006, of which 5.6% was mid-grade and 9.5% was premium grade. Countries in Europe impose substantially higher taxes on fuels such as gasoline when compared to the United States. The price of gasoline in Europe is typically higher than that in the U.S. due to this difference. From 1998 to 2004, the price of gasoline fluctuated between US$1 and US$2 per U.S. gallon. After 2004, the price increased until the average gas price reached a high of $4.11 per U.S. gallon in mid-2008, but receded to approximately $2.60 per U.S. gallon by September 2009. More recently, the U.S. experienced an upswing in gasoline prices through 2011, and by 1 March 2012, the national average was $3.74 per gallon. About 9 percent of all gasoline sold in the U.S. in May 2009 was premium grade, according to the Energy Information Administration. Consumer Reports magazine says, “If [your owner’s manual] says to use regular fuel, do so—there’s no advantage to a higher grade.” The Associated Press said premium gas—which has a higher octane rating and costs more per gallon than regular unleaded—should be used only if the manufacturer says it is “required”. Cars with turbocharged engines and high compression ratios often specify premium gas because higher octane fuels reduce the incidence of “knock”, or fuel pre-detonation. The price of gas varies considerably between the summer and winter months. About 19.64 pounds (8.91 kg) of carbon dioxide (CO2) are produced from burning 1 U.S. gallon (3.8 liters) of gasoline that does not contain ethanol (2.36 kg/L). About 22.38 pounds (10.15 kg) of CO2 are produced from burning one US gallon of diesel fuel (2.69 kg/l). The U.S. EIA estimates that U.S. motor gasoline and diesel (distillate) fuel consumption for transportation in 2015 resulted in the emission of about 1,105 million metric tons of CO2 and 440 million metric tons of CO2, respectively, for a total of 1,545 million metric tons of CO2. This total was equivalent to 83% of total U.S. transportation-sector CO2 emissions and equivalent to 29% of total U.S. energy-related CO2 emissions in 2015. Most of the retail gasoline now sold in the United States contains about 10% fuel ethanol (or E10) by volume. Burning a gallon of E10 produces about 17.68 pounds (8.02 kg) of CO2 that is emitted from the fossil fuel content. If the CO2 emissions from ethanol combustion are considered, then about 18.95 pounds (8.60 kg) of CO2 are produced when a gallon of E10 is combusted. About 12.73 pounds (5.77 kg) of CO2 are produced when a gallon of pure ethanol is combusted. Below is a table of the volumetric and mass energy density of various transportation fuels as compared with gasoline. In the rows with gross and net, they are from the Oak Ridge National Laboratory‘s Transportation Energy Data Book. (*) Diesel fuel is not used in a gasoline engine, so its low octane rating is not an issue; the relevant metric for diesel engines is the cetane number. ^ “Preventing and Detecting Underground Storage Tank (UST) Releases”. United States Environmental Protection Agency. Retrieved 14 November 2018. ^ “Evaluation of the Carcinogenicity of Unleaded Gasoline”. epa.gov. Archived from the original on 27 June 2010. ^ Mehlman, MA (1990). “Dangerous properties of petroleum-refining products: carcinogenicity of motor fuels (gasoline)”. Teratogenesis, carcinogenesis, and mutagenesis. 10 (5): 399–408. PMID 1981951. ^ Baumbach, JI; Sielemann, S; Xie, Z; Schmidt, H (15 March 2003). “Detection of the gasoline components methyl tert-butyl ether, benzene, toluene, and m-xylene using ion mobility spectrometers with a radioactive and UV ionization source”. Analytical Chemistry. 75 (6): 1483–90. doi:10.1021/ac020342i. PMID 12659213. ^ a b “The etymology of gasoline”. Oxford English Dictionary. Archived from the original on 29 July 2017. Retrieved 30 July 2017. ^ “Online Etymology Dictionary”. etymonline.com. Archived from the original on 9 January 2006. ^ Hincks, Ron (2004). “Our Motoring Heritage: gasoline & Oil”. Chrysler Collector (154): 16–20. ^ Kemp, John (18 March 2017). “India’s thirst for gasoline helps spur global oil demand: Kemp”. Reuters. Archived from the original on 30 August 2017. India’s drivers used 500,000 barrels per day of motor spirit in the 12 months ending in February 2016, according to the Petroleum Planning and Analysis Cell of the Ministry of Petroleum. ^ National Energy Advisory Committee (Australia). Motor Spirit: Vehicle Emissions, Octane Ratings and Lead Additives: Further Examination, March 1981. Australian Government Publishing Service. p. 11. ISBN 978-0-642-06672-5. Archived from the original on 17 February 2017. Based on estimated provided by the oil refining industry, the Department of National Development and Energy has estimated that the decision to reduce the RON of premium motor spirit from 98 to 97 has resulted in an annual saving equivalent to about 1.6 million barrels of crude oil. ^ “Premium Motor Spirit”. Oando PLC. Archived from the original on 17 February 2017. ^ Udonwa, N. E.; Uko, E. K.; Ikpeme, B. M.; Ibanga, I. A.; Okon, B. O. (2009). “Exposure of Petrol Station Attendants and Auto Mechanics to Premium Motor Sprit Fumes in Calabar, Nigeria”. Journal of Environmental and Public Health. 2009: 1–5. doi:10.1155/2009/281876. PMC 2778824. PMID 19936128. ^ “Nafta in English – Spanish to English Translation”. SpanishDict. Archived from the original on 6 February 2010. ^ Daniel Yergen, The Prize, The Epic Quest for Oil, Money & Power, Simon & Schuster, 1992, pp. 150–63. ^ a b Matthew Van Winkle, Aviation Gasoline Manufacture, McGraw-Hill, 1944, pp. 1–4. ^ Matthew Van Winkle, Aviation Gasoline Manufacture, McGraw-Hill, 1944, p. 10. ^ Matthew Van Winkle, Aviation Gasoline Manufacture, McGraw-Hill, 1944, p. 3. ^ Matthew Van Winkle, Aviation Gasoline Manufacture, McGraw-Hill, 1944, pp. 6–9. ^ Matthew Van Winkle, Aviation Gasoline Manufacture, McGraw-Hill, 1944, p. 74. ^ Matthew Van Winkle, Aviation Gasoline Manufacture, McGraw-Hill, 1944, p. 22. ^ Matthew Van Winkle, Aviation Gasoline Manufacture, McGraw-Hill, 1944, p. 20. ^ Matthew Van Winkle, Aviation Gasoline Manufacture, McGraw-Hill, 1944, p. 34. ^ Matthew Van Winkle, Aviation Gasoline Manufacture, McGraw-Hill, 1944, pp. 12–19. ^ Matthew Van Winkle, Aviation Gasoline Manufacture, McGraw-Hill, 1944, pp. 94–95. ^ Robert W. Czeschin, The Last Wave; Oil, War, and Financial Upheaval in the 1990’s, Agora Inc., 1988, pp. 13–14. ^ Robert W. Czeschin, The Last Wave; Oil, War, and Financial Upheaval in the 1990’s, Agora Inc., 1988, p. 17. ^ Robert W. Czeschin, The Last Wave; Oil, War, and Financial Upheaval in the 1990’s, Agora Inc., 1988, p. 19. ^ “Gasoline—a petroleum product”. U.S Energy Information Administration website. U.S Energy Information Administration. 12 August 2016. Archived from the original on 24 May 2017. Retrieved 15 May 2017. ^ Bell Fuels. “Lead-Free gasoline Material Safety Data Sheet”. NOAA. Archived from the original on 20 August 2002. ^ “Energy Information Administration”. www.eia.gov. Archived from the original on 15 December 2015. ^ “Fuel Properties Comparison” (PDF). Alternative Fuels Data Center. Archived (PDF) from the original on 31 October 2016. Retrieved 31 October 2016. 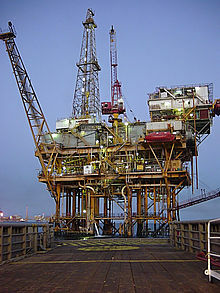 ^ “Oil Industry Statistics from Gibson Consulting”. Archived from the original on 12 September 2008. Retrieved 31 July 2008. ^ Ryan Lengerich Journal staff. “85-octane warning labels not posted at many gas stations”. Rapid City Journal. Archived from the original on 15 June 2015. ^ “95/93 – What is the Difference, Really?”. Automobile Association of South Africa (AA). Archived from the original on 29 December 2016. Retrieved 26 January 2017. ^ Hearst Magazines (April 1936). Popular Mechanics. Hearst Magazines. pp. 524–. ISSN 0032-4558. Archived from the original on 19 June 2013. ^ “List of countries using leaded petrol in 2011”. Archived from the original on 29 June 2014. ^ “UN: Leaded fuel to be gone by 2013”. Archived from the original on 5 March 2016. ^ Matthews, Dylan (22 April 2013). “Lead abatement, alcohol taxes and 10 other ways to reduce the crime rate without annoying the NRA”. Washington Post. Archived from the original on 12 May 2013. Retrieved 23 May 2013. ^ Reyes, J. W. (2007). “The Impact of Childhood Lead Exposure on Crime”. National Bureau of Economic Research. Archived 29 September 2007 at the Wayback Machine “a” ref citing Pirkle, Brody, et. al (1994). Retrieved 17 August 2009. ^ “Ban on leaded petrol ‘has cut crime rates around the world‘“. 28 October 2007. Archived from the original on 29 August 2017. ^ Seggie, Eleanor (5 August 2011). “More than 20% of SA cars still using lead-replacement petrol but only 1% need it”. Engineering News. South Africa. Archived from the original on 13 October 2016. Retrieved 30 March 2017. ^ Clark, Andrew (14 August 2002). “Petrol for older cars about to disappear”. The Guardian. London. Archived from the original on 29 December 2016. Retrieved 30 March 2017. ^ “AA warns over lead replacement fuel”. The Daily Telegraph. London. 15 August 2002. Archived from the original on 21 April 2017. Retrieved 30 March 2017. ^ Hollrah, Don P.; Burns, Allen M. “MMT Increases Octane While Reducing Emissions”. www.ogj.com. Archived from the original on 17 November 2016. ^ “MEDIDA PROVISÓRIA nº 532, de 2011”. senado.gov.br. Archived from the original on 19 September 2011. ^ “Government to take a call on ethanol price soon”. The Hindu. Chennai, India. 21 November 2011. Archived from the original on 5 May 2012. Retrieved 25 May 2012. ^ “India to raise ethanol blending in gasoline to 10%”. 22 November 2011. Archived from the original on 7 April 2014. Retrieved 25 May 2012. ^ “Removal of Reformulated Gasoline Oxygen Content Requirement (national) and Revision of Commingling Prohibition to Address Non-0xygenated Reformulated Gasoline (national)”. U.S. Environmental Protection Agency. 22 February 2006. Archived from the original on 20 September 2005. ^ “Alternative Fueling Station Locator”. U.S. Department of Energy. Archived from the original on 14 July 2008. Retrieved 14 July 2008. ^ “How Gasoline Becomes CO2”. Slate Magazine. 1 November 2006. Archived from the original on 20 August 2011. ^ a b c d e f g “How much carbon dioxide is produced by burning gasoline and diesel fuel?”. U.S. Energy Information Administration (EIA). Archived from the original on 27 October 2013. This article incorporates text from this source, which is in the public domain. ^ “CDC – NIOSH Pocket Guide to Chemical Hazards – Gasoline”. www.cdc.gov. Archived from the original on 16 October 2015. Retrieved 3 November 2015. ^ “Low IQ and Gasoline Huffing: The Perpetuation Cycle”. Archived from the original on 14 August 2017. ^ “Rising Trend: Sniffing Gasoline – Huffing & Inhalants”. 16 May 2013. Archived from the original on 20 December 2016. ^ “Petrol Sniffing / Gasoline Sniffing”. Archived from the original on 21 December 2016. ^ Lauwers, Bert (1 June 2011). “The Office of the Chief Coroner’s Death Review of the Youth Suicides at the Pikangikum First Nation, 2006–2008”. Office of the Chief Coroner of Ontario. Archived from the original on 30 September 2012. Retrieved 2 October 2011. ^ “Labrador Innu kids sniffing gas again to fight boredom”. CBC.ca. Archived from the original on 18 June 2012. Retrieved 18 June 2012. ^ Wortley, R.P. (29 August 2006). “Anangu Pitjantjatjara Yankunytjatjara Land Rights (Regulated Substances) Amendment Bill”. Legislative Council (South Australia). Hansard. Archived from the original (– Scholar search) on 29 September 2007. Retrieved 27 December 2006. ^ Brady, Maggie (27 April 2006). “Community Affairs Reference Committee Reference: Petrol sniffing in remote Aboriginal communities” (PDF). Official Committee Hansard (Senate). Hansard: 11. Archived from the original (PDF) on 12 September 2006. Retrieved 20 March 2006. ^ Williams, Jonas (March 2004). “Responding to petrol sniffing on the Anangu Pitjantjatjara Lands: A case study”. Social Justice Report 2003. Human Rights and Equal Opportunity Commission. Archived from the original on 31 August 2007. Retrieved 27 December 2006. ^ Submission to the Senate Community Affairs References Committee by BP Australia Pty Ltd Archived 14 June 2007 at the Wayback Machine Parliament of Australia Web Site. Retrieved 8 June 2007. ^ “EarthTrends: Energy and Resources—Transportation: Motor gasoline consumption Units: Million liters”. Archived from the original on 27 September 2007. ^ “U.S. Prime Supplier Sales Volumes of petroleum Products”. United States Energy Information Administration. Archived from the original on 15 October 2007. Retrieved 24 October 2007. ^ a b “Gas Prices: Frequently Asked Questions”. fueleconomy.gov. Archived from the original on 21 January 2011. ^ “When did the Federal Government begin collecting the gas tax?—Ask the Rambler — Highway History”. FHWA. Archived from the original on 29 May 2010. Retrieved 17 October 2010. 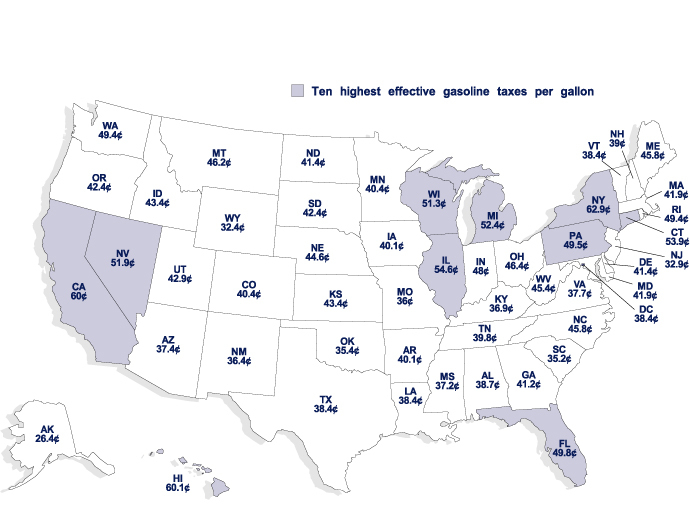 ^ “State Gasoline Tax Reports” (PDF). Consumer Information. American Petroleum Institute. Retrieved 28 December 2018. ^ “New & Used Car Reviews & Ratings”. Consumer Reports. Archived from the original on 23 February 2013. ^ Biello, David. “Fact or Fiction? : Premium Gasoline Delivers Premium Benefits to Your Car”. Scientific American. Archived from the original on 12 October 2012. ^ “Why is summer fuel more expensive than winter fuel?”. HowStuffWorks. Archived from the original on 30 May 2015. ^ “Appendix B – Transportation Energy Data Book”. ornl.gov. Archived from the original on 18 July 2011. ^ a b c d Thomas, George: “Overview of Storage Development DOE Hydrogen Program” (PDF). Archived from the original (PDF) on 21 February 2007. (99.6 KB). Livermore, CA. Sandia National Laboratories. 2000. ^ Eyidogan, Muharrem; Ozsezen, Ahmet Necati; Canakci, Mustafa; Turkcan, Ali (2010). “Impact of alcohol–gasoline fuel blends on the performance and combustion characteristics of an SI engine”. Fuel. 89 (10): 2713. doi:10.1016/j.fuel.2010.01.032. ^ “Extension Forestry” (PDF). North Carolina Cooperative Extension. Archived from the original (PDF) on 22 November 2012. Gold, Russell. The Boom: How Fracking Ignited the American Energy Revolution and Changed the World (Simon & Schuster, 2014). Yergin, Daniel. The Quest: Energy, Security, and the Remaking of the Modern World (Penguin, 2011). Yergin, Daniel. The Prize: The Epic Quest for Oil, Money, and Power (Buccaneer Books, 1994; latest edition: Reissue Press, 2008). World Internet News: “Big Oil Looking for Another Government Handout”, April 2006.